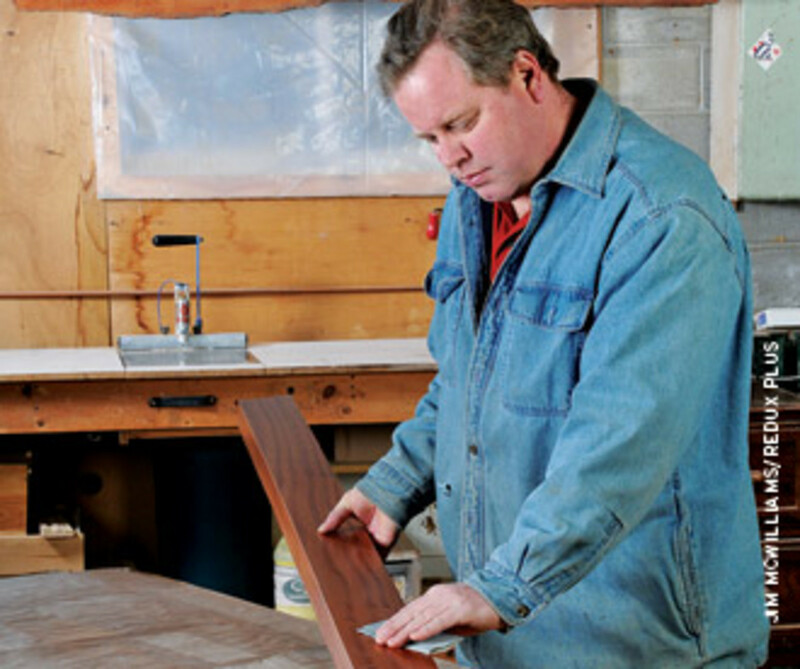 John Doyle, owner of Doyle Design in Philadelphia, offers a broad mixture of creative design and manufacturing services in the areas of architectural woodwork, custom cabinetry and fine furniture. 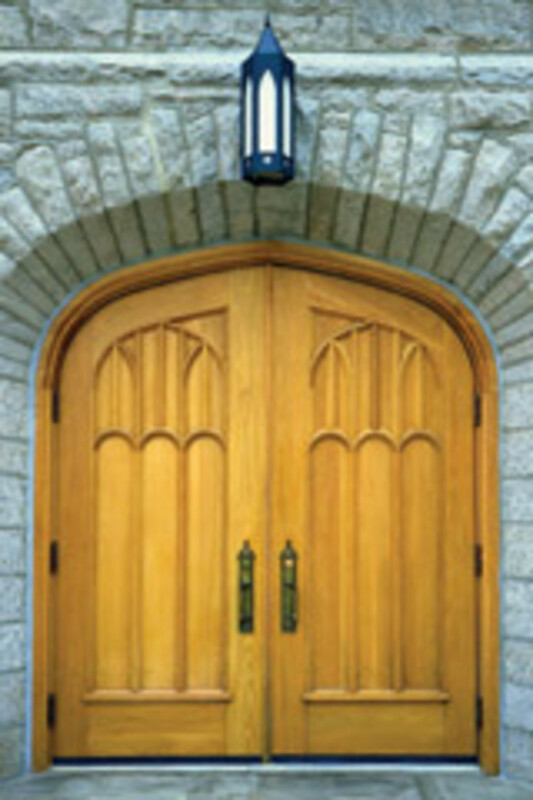 With more than 25 years of experience in woodworking, Doyle can handle many areas of the trade. Since he opened up shop in 1996, the vast majority of Doyle&apos;s commissions have been in the residential sector. That&apos;s because his shop location in the Philadelphia suburbs is also the hub for many wealthy clients who want to upgrade, restore and build equity in their high-end homes. He also offers refined finishing services, hands-on installation, and museum-quality restoration of French antiques. 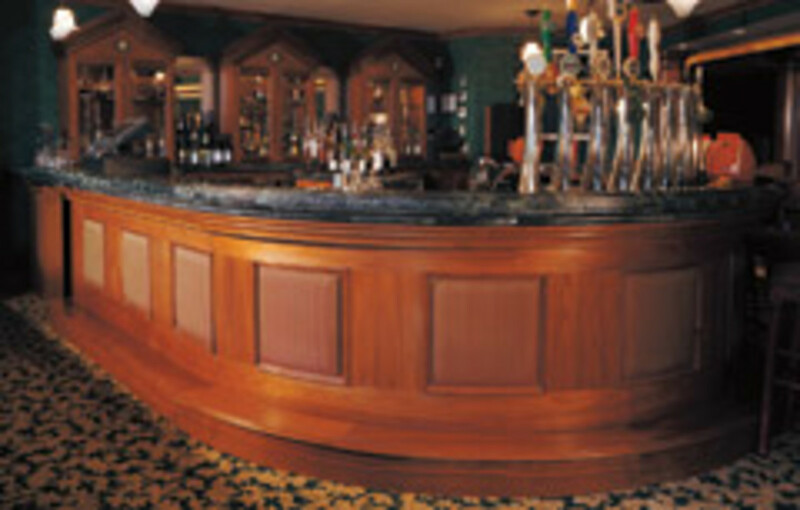 "We design, build, finish and install most of our work. Projects come to us because we are able to do it all in-house," he says. 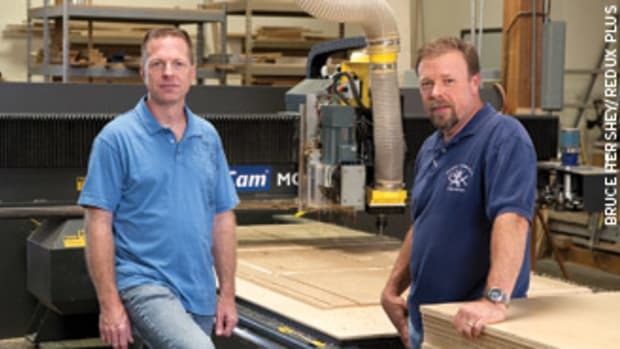 Doyle&apos;s shop staff includes his wife, Karla, and Brent Richards, a talented cabinetmaker with more than 12 years of experience in high-end shops. The three all wear many hats and are used to multitasking. Their teamwork is commendable, as they manage up to 25 commercial and residential projects of various sizes each year. Doyle grew up in King of Prussia, Pa., and attended the Montgomery County Vo-Tech School for carpentry. He spent half of his senior year working for Shrawder Furniture through the school&apos;s job placement program. At 16, Doyle spent his Friday nights carving Chippendale reproductions with his father and furniture maker Steve Misir. In 11th grade, he apprenticed with a builder of a solar home. He also used to whittle in his garage while his brother rehearsed with a rock band. "My father was an engineer who worked on the space shuttle&apos;s launch pad. He had to figure out the timing of the booster rockets so the trajectory of the rocket was correct. He was a perfectionist," says Doyle. Just before graduating from Upper Merion High School in 1984, John earned his first-degree black belt in taekwondo. The engineering influence from his father, combined with his experience in martial arts, gave him discipline and a meticulous approach to his work and tools. "I find it amazing that craftsman can stay in business with dull tools. Before l head out to a job site I sharpen a chisel, making sure it will shave the hair off of my arm before I leave the shop," he says. 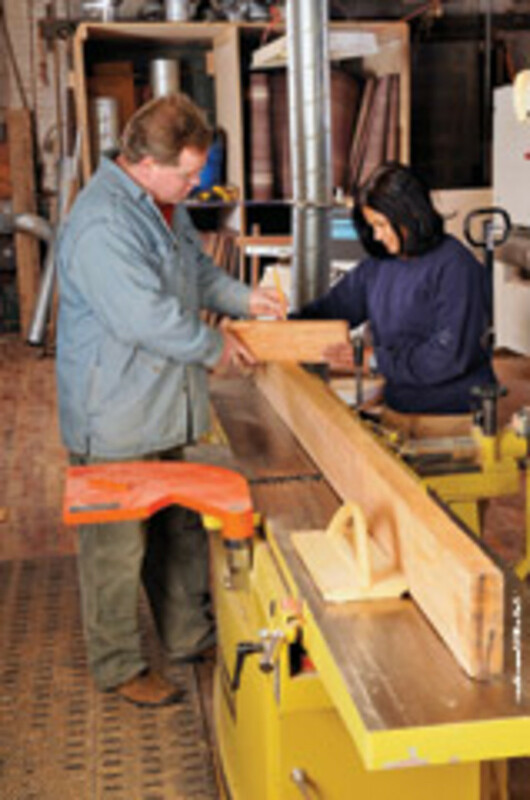 Doyle attended Bucks County Community College&apos;s fine woodworking program in 1985. He left to work for the Larkin Co., making historical reproductions for a few years, before completing his formal training. 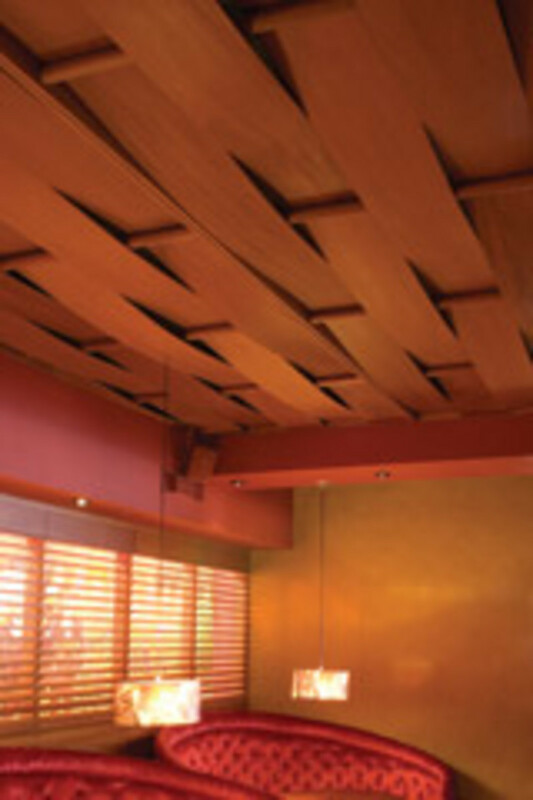 He attributes much of his success to his instructors, including Mark Sfirri, who improved his sense of contemporary design. Another was Jon Alley, who gave him a good understanding of period furniture. 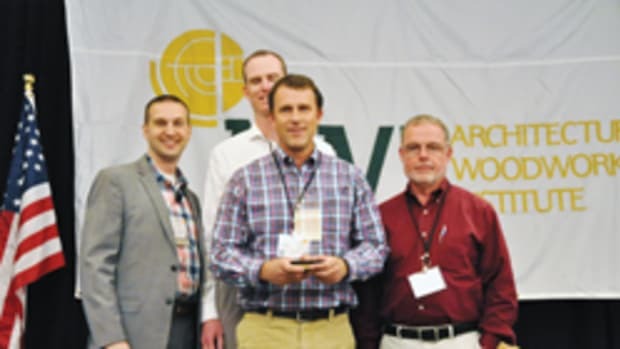 In 1996, after working at Mill Creek Woodwork for five years, owner and architect Norris Manser was offered a job as a project manager with a large construction firm. Instead of letting the shop close down, Doyle persuaded Norris to let him start Doyle Design. A year later, Doyle moved the shop to the Manayunk section of Philadelphia. Within four years, he outgrew that space and moved to the shop&apos;s current location. Doyle meets with clients and prepares the estimates and drawings. Richards tackles most of the cabinet work. Karla, a former jockey from Trinidad, does the bookkeeping, website design and spray finishing. 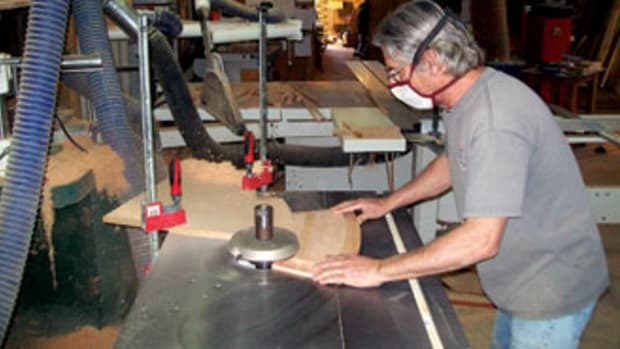 The shop&apos;s machinery includes an Altendorf sliding table saw, Butfering wide belt sander, two SCMI shapers, Bridgewood table saw, Powermatic table saw and shaper, Holz-Her edgebander and two Dustek collectors. There is also a large spray booth set up to spray primed and clear lacquers, water-based finishes and solid-colored precatalyzed lacquers. For now, he&apos;s not ready to commit to purchasing a CNC router, but has access to one if he needs it. "There are lots of three-man shops that have a CNC, but I just haven&apos;t been able to incorporate CNC functions into what I do. It&apos;s faster for us to build one or two cabinets than it is to set it up on CNC. There&apos;s a whole garage downstairs with one we could rent if I wanted to, but I haven&apos;t had the need to do it yet." Doyle has been serving the Main Line communities of Gladwyne, Villanova and Bryn Mawr for most of his career. He also serves Rittenhouse Square and Northern Liberties with condominium improvements. Repeat clients, referrals and website leads have brought steady growth to the business. The work breakdown is about 75 percent residential and 25 percent commercial. "Commercial work is usually more profitable with the more interesting residential work being less profitable. It&apos;s hard to earn a living making furniture on speculation. The made-to-order work we do is really what sustains us," says Doyle. Doyle has been working on a major remodeling job for much of the last year, installing stairs, wall paneling and a mahogany kitchen. 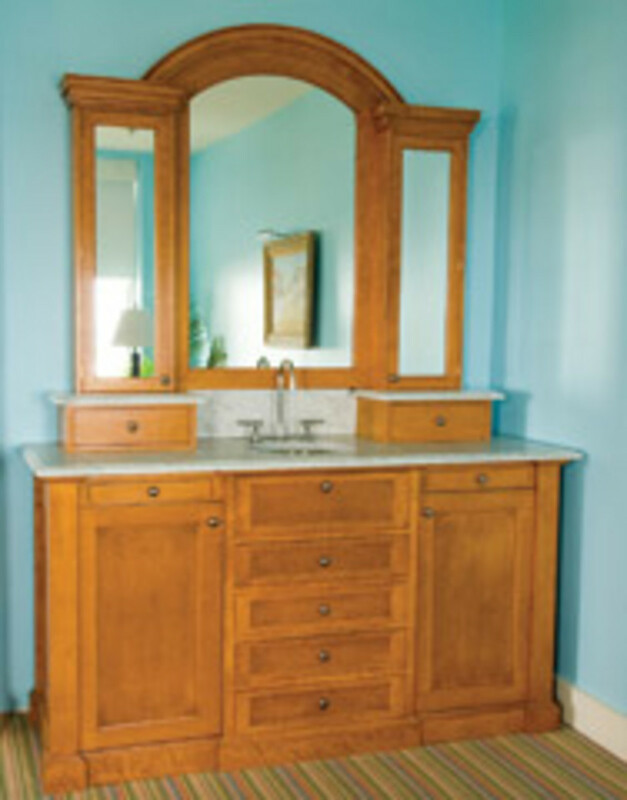 Most of his cabinetry work is done in the frameless style. "We&apos;ll do whatever comes along, but nowadays people love the modern vanities and bathroom work. I would say the modern work is a little bit more popular today," says Doyle when asked about recent customer preferences. 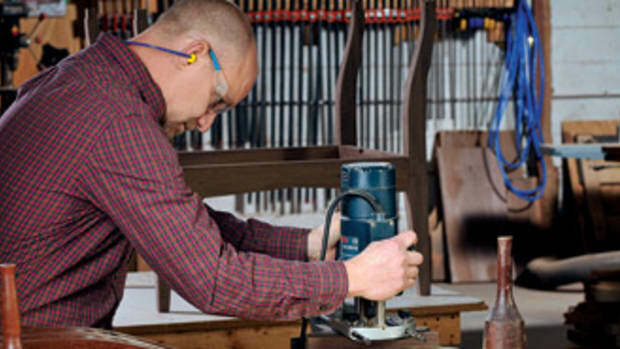 A very small percentage of work includes period furniture restoration and fabrication of freestanding furniture. "It&apos;s always been very hard to make a living doing that. 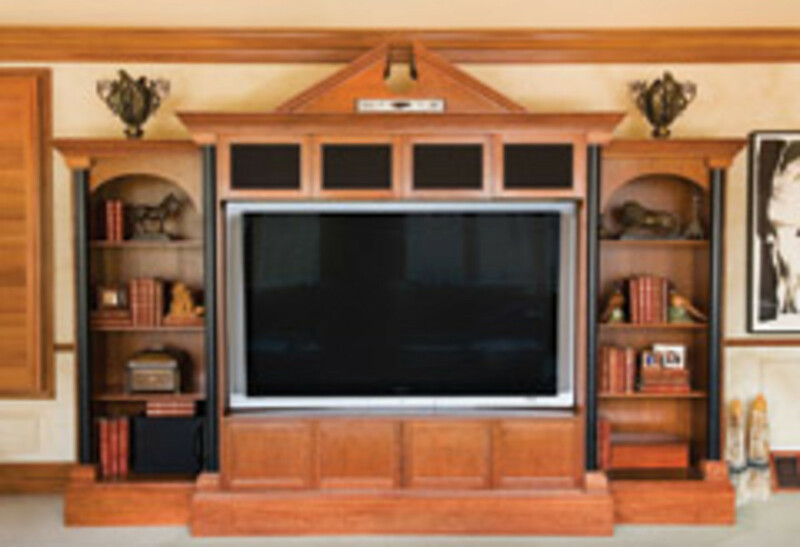 It&apos;s always been the custom built-ins, the home theaters and other design-and-build cabinet work that has been our bread-and-butter," says Doyle, who hopes to have a few spec pieces to exhibit at the Philadelphia Invitational Furniture Show in the next year or two. "Mostly we assist people making improvements to their home. 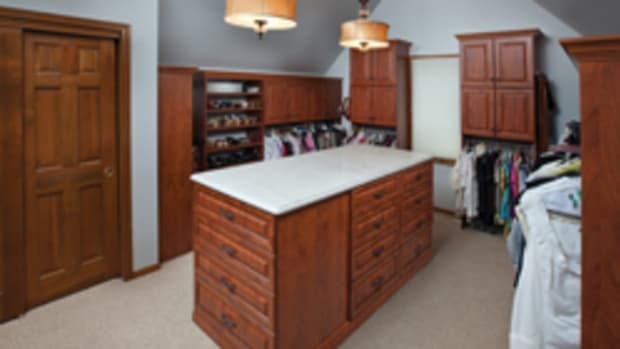 Upon completion of a living room or bedroom project, l often feel that we&apos;ve helped to make a few of their dreams come true." Doyle would like to buy a few more machines, add a few more employees and increase sales. While business has been fairly steady the last few years, it&apos;s coming in month by month rather than the usual backlog of three to four months. 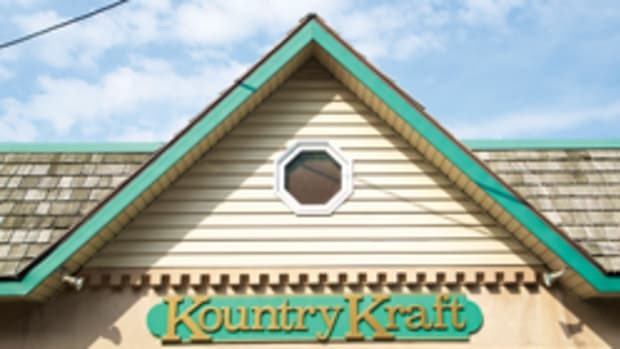 In general, he wants to keep doing what he&apos;s doing, but build his clientele to the point where he can be more selective about the type of jobs the shop takes on. 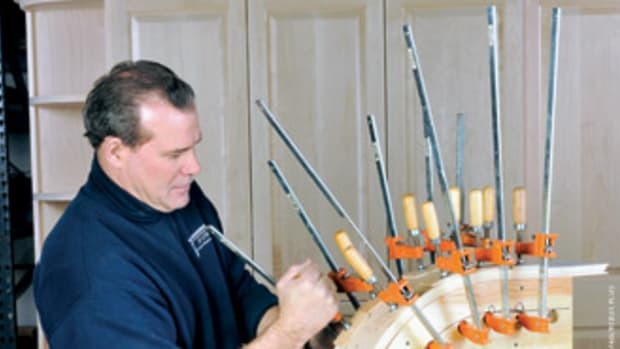 He dreams of making Philadelphia-style Chippendale highboys and would like to model his business after what Maine furniture maker Thomas Moser has accomplished. He is dedicated to his company and plans to continue building his business until he reaches his goals. "Running the business takes up most of my time and energy. I&apos;m restoring my home, which I&apos;ve found to be increasingly difficult while living in it. To unwind, I ride around on a Harley, which is the most fun that I can legally have." This article originally appeared in the February 2011 issue.